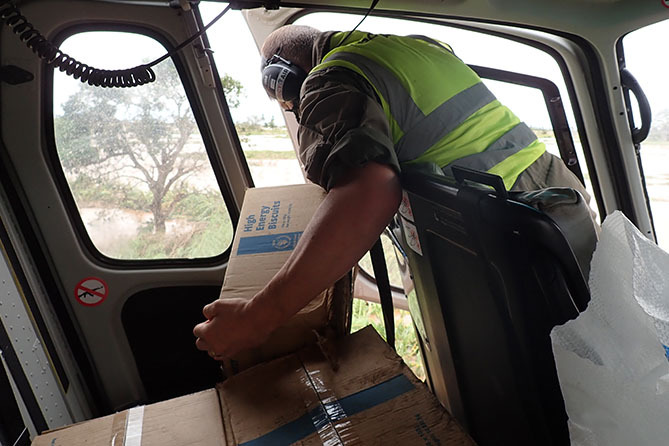 The MAF team in Mozambique continues its disaster response work in the aftermath of Cyclone Idai. 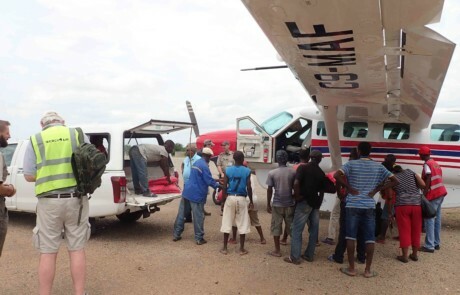 MAF, known in Mozambique as Ambassador Aviation, has been flying survey flights and working with Mercy Air to deliver food to many people stranded by flooding. 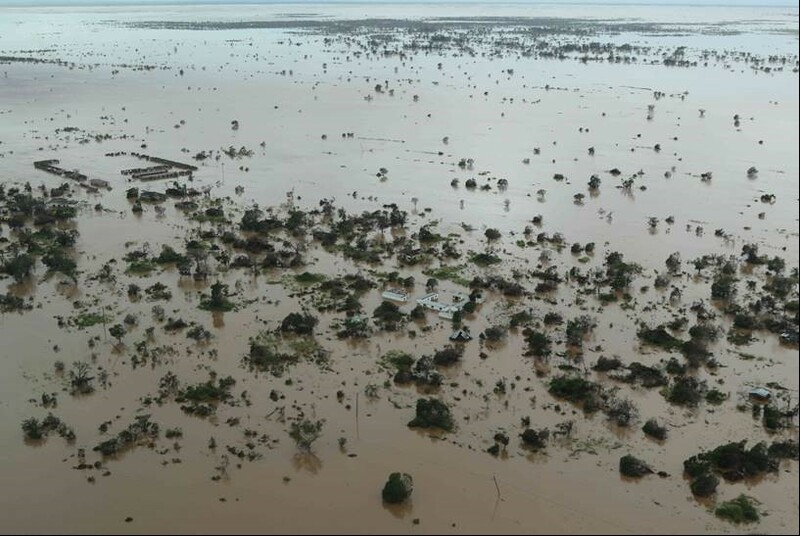 The survey flights have been critical to assess and report the extent of the damage caused by the cyclone, which was initially largely underestimated. 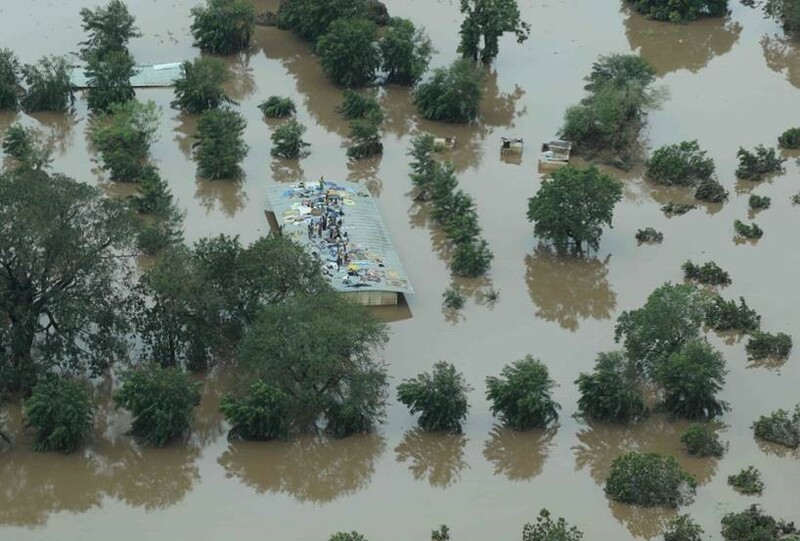 The flights have shown widespread flooding and devastation, with people stranded on roofs, tufts of land, and trees. Thankfully these flights have enabled better response to identify those desperately in need, and to bring immediate aid to them. 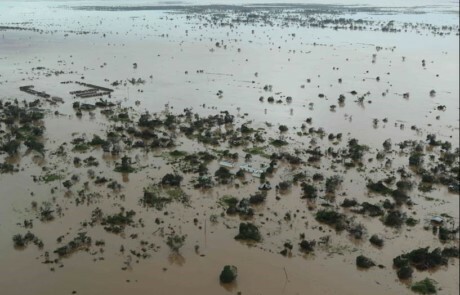 “Today (Tuesday) we joined with Mercy Air in doing three flights into the area totally cut off from flooding along the Buzi River. We were able to ‘distribute’ about 1,500 kgs of high-energy biscuits. 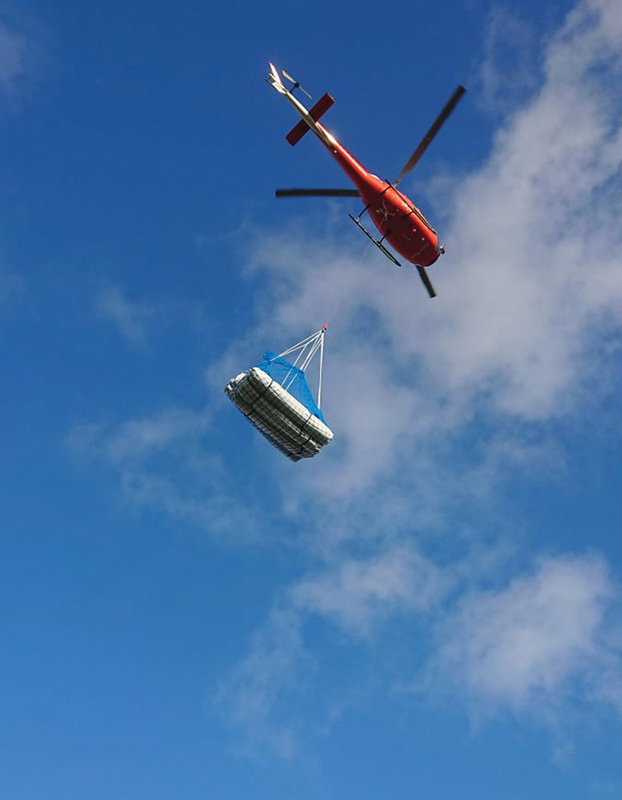 Distribute means dropping boxes out of the helicopter, sometimes into the water very near a small patch of land, onto a roof of a house, or into trees. The partnership with Mercy Air has been good and they are a great bunch of guys to be working alongside. The food distributed came from WFP (World Food Program). 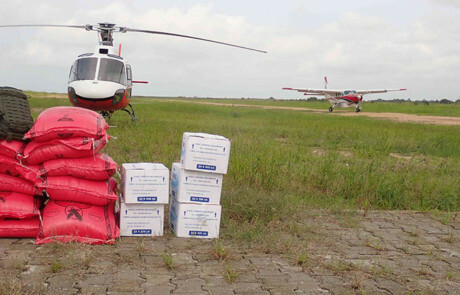 “The MAF Caravan did another much-needed survey with the General Secretary of the INGC (Mozambique’s disaster response agency) into the hard hit Buzi River area … The aerial survey done yesterday has literally changed the whole direction of the response here in Mozambique. It showed the government and aid organizations the larger area and people affected and the more critical needs at this time. “We know there are large groups of people stranded between Beira and Chimoio where the road is cut off (Beira is completely cut off by road). 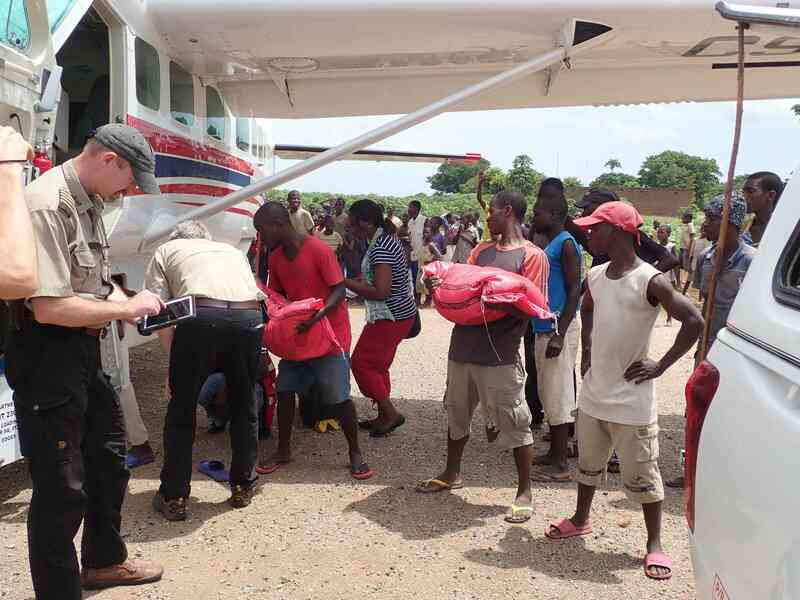 Many people will need supplies and food, but after our survey flight a more dire situation was discovered along the Buzi. 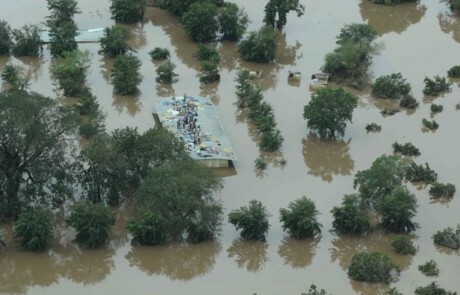 People are stuck on rooftops surrounded by kilometers of water and with waters still rising and more rain coming. It is a heartbreaking situation. There are entire villages that are entirely under water and our survey this morning showed some areas that were dry yesterday under water today. The latest reports estimate that the affected population has risen to 2.5 million people, with at least 100 dead, a number that could increase to nearly 1000 according to estimates. 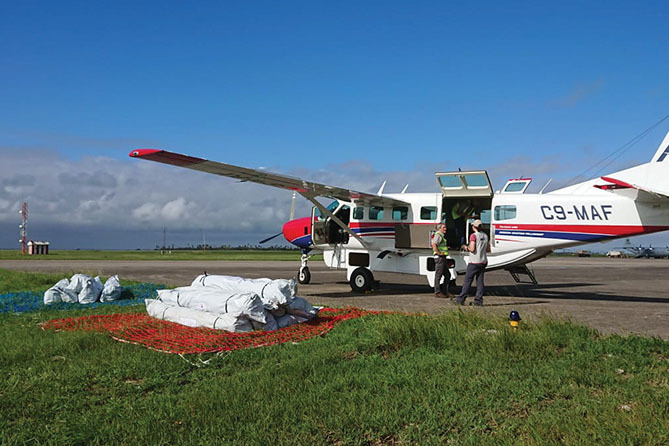 MAF’s survey flights are critical and we are receiving many requests from the INGC, the World Food Program (WFP), BBC and others responding to this disaster. Please continue to pray for all those affected by the flooding, and for safety for all the organizations and their staff responding to help. 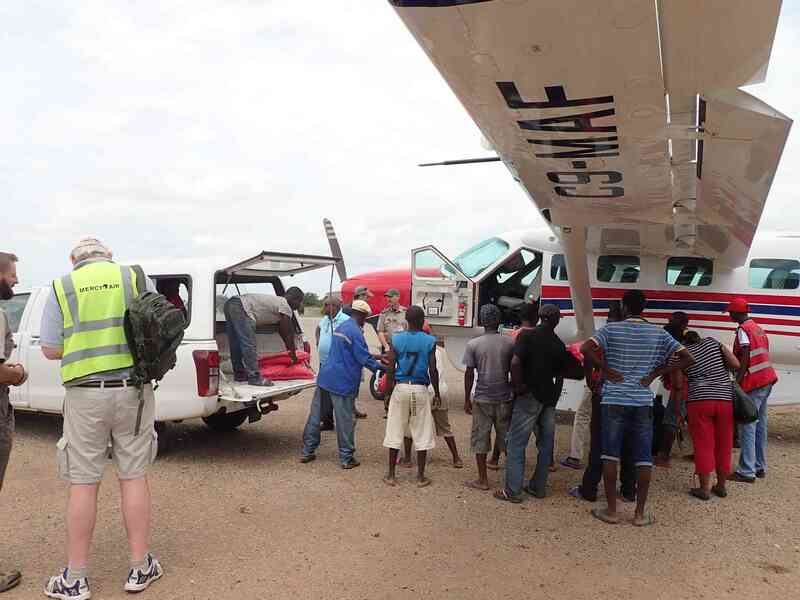 The Ambassador Aviation (MAF) team in Mozambique continues their Cyclone Idai disaster response work, using the Cessna 208 Caravan from the Nampula, Mozambique base. Recent flights have provided tents, hygiene kits, family kits, and other items from Chimoio to Beira for use at Internally Displaced People (IDP) camps. MAF Pilot Dave Holmes flew 55 family kits, (that include shelter items), on today’s first flight and 56 family kits and additional food on the second flight. Today, MAF worked in cooperation with Mercy Air to conduct food delivery flights. 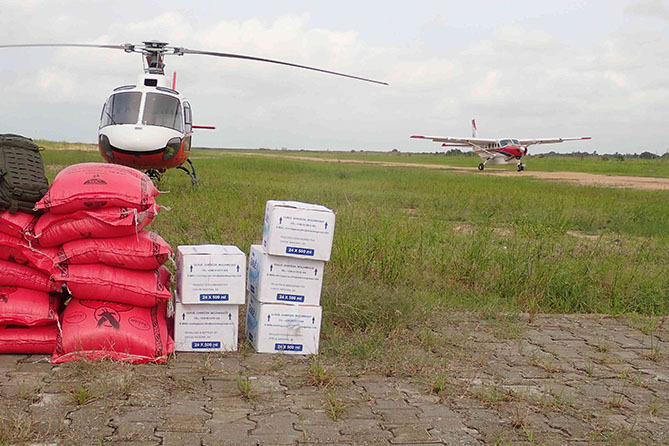 Using the Mercy Air helicopter, they did 17 food drops, (a total of 36 boxes of high-energy biscuits), to various locations north of the impassable N6 road, as well as another drop of 40 boxes to the village of Grudja. In addition, they flew the General Secretary of the INGC (Mozambique’s disaster response agency), to Buzi City for assessment. 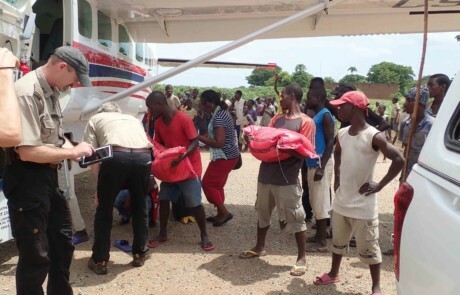 The helicopter also flew a sling load of seven tents and buckets to the camp at Buzi and returned with a patient, a pregnant woman needing a C-section. Lift up those who are most vulnerable, including children, new and expectant mothers and those cut off by the flooding.